Sure, we’ve all heard that people in glass houses shouldn’t throw stones, but there’s a whole lot more they should watch out for, too. That, at least, was what sprang to mind when we learned that a famous glass house in Knoxville, TN, is now for sale for $575,000. This 1,731-square-foot, one-bedroom, one-bath home has an exterior made almost entirely of floor-to-ceiling glass—offering gorgeous views of the 2.32 acres of woodlands surrounding it. Called the Shell house, it was designed by Bill Shell, a University of Tennessee architecture professor who built the place in 2004 and lived there from 2010 to his death in 2017. In his will, Shell donated the place to the Knoxville Museum of Art, which decided to put it on the market—albeit with protective easements to preserve the building’s integrity. 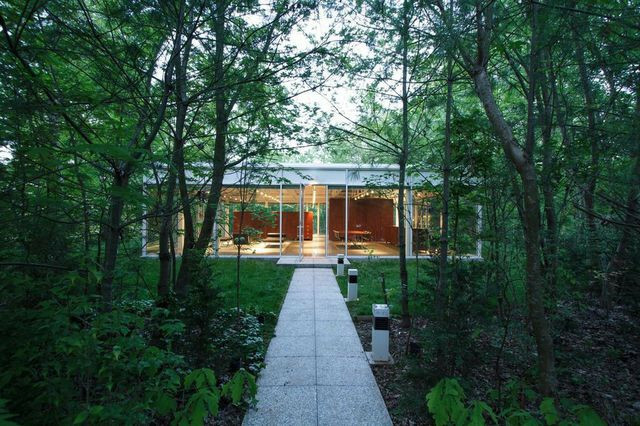 Have you ever dreamed of living in a glass house? Listed on Sept. 4, the home quickly received a flurry of interest culminating in 20 showings and two offers so far, according to listing agent Barbara Apking at Coldwell Banker, Wallace and Wallace. We can see why this house didn’t sit around, since it’s certainly a striking piece of architecture. Still, though, there’s a big difference between admiring a glass house and actually living in it. What’s it really like? 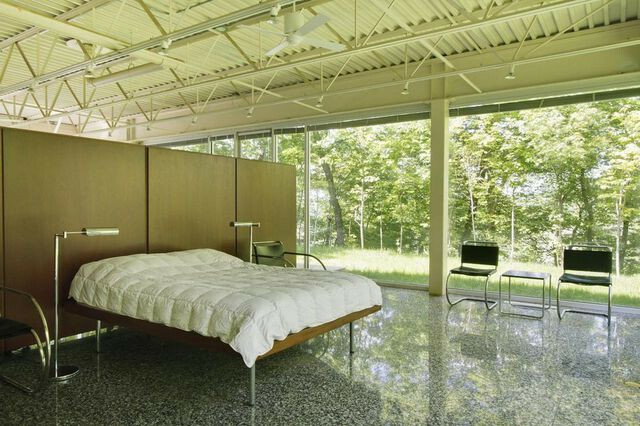 For starters, the saying about how “people in glass houses shouldn’t throw stones” actually comes from architect Philip Johnson, who, like Shell, designed and lived in his own glass house in New Canaan, CT.
And though true glass houses like these two are certainly rare, plenty of homes—particularly from the midcentury era—feature massive floor-to-ceiling windows that are adored by scores of home buyers. In other words, plenty of folks love the idea of a glass house. You can’t beat the views, the feeling of openness, connection to nature, yadda yadda … we totally get it. 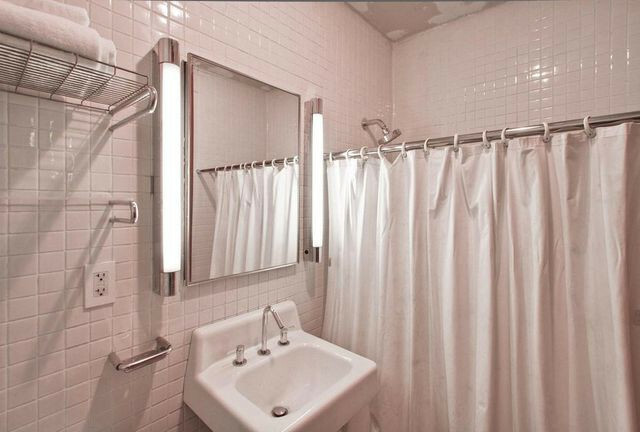 But fully glass-walled houses do come with their downsides. Namely, of course, it’s hard to get past the fact that everyone can easily see in the house. What about privacy? Apking does point out that the property’s topography does much to protect the Shell house’s inhabitants from prying eyes. Still, not everyone is convinced that this fishbowl offers foolproof privacy. 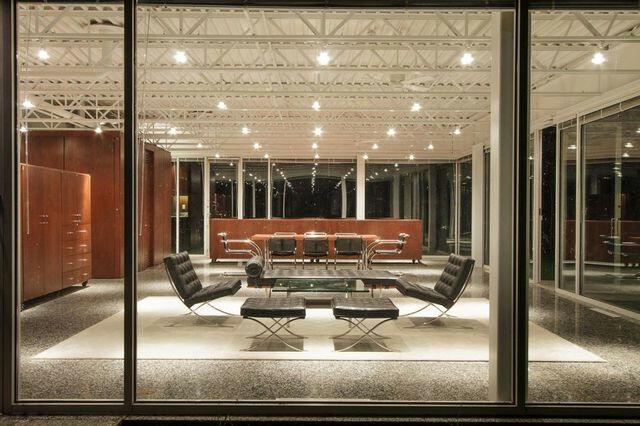 Privacy aside, glass homes can also be energy hogs. According to Apking, heating and cooling costs amount to about $210 a month—which doesn’t seem all that bad, but then again, it’s a small house. We’re not saying glass houses should be avoided at all costs, but just to weigh the pros and cons so you know what you’re getting into. As for the downsides, there are ways to mitigate them. And although few of us will ever contemplate living in such a place, there are take-home lessons here for anyone who digs homes with big windows. The post Living in a Glass House Isn’t All It’s Cracked Up to Be—Here’s Proof appeared first on Real Estate News & Insights | realtor.com®.